"My family and I recently purchased a wonderful Bulldog puppy from Beautiful Bulldogs of Texas. From the moment we met we knew we had came to the right place. Being proud owners of Bulldogs for over 20 years, we could immediately tell that Carla had a profound love for the breed. In spite of our own experiences, Carla was an overflowing fountain of knowledge and information.﻿"
It is difficult to find the words that describe our gratitude for Beautiful Bulldogs of Texas. Carla went above and beyond our expectations. My husband and I searched for two years to find a solid, dedicated and loving breeder. Not only is our puppy the most beautiful puppy we have seen, his temperament and manners are perfection.Finding and selecting a breeder is very stressful and we are beyond pleased with the choice we have made. These are breeders that truly love their puppies. Our little boy is a dream come true and we will forever be grateful to Beautiful Bulldogs of Texas." My wife and I have always wanted to have an English bulldog to be a part of the family. One day we just happen to notice the sign for Beautiful Bulldogs of Texas. We stopped on the way back home and instantly fell in love with our first little girl. She was and still to this day is one of the best dogs we have both ever had. We love our Sable so much that a year later we were taking home our second bulldog. With this one being a boy, we named him SGT. Pepper. He is becoming quite the big man. We cannot wait to see how big he is going to be. Another year later, we now have a third bulldog, Princess Kona, who we are hoping to possibly breed in the future with Carla's help. After 30 years of wanting an English bulldog I have one! 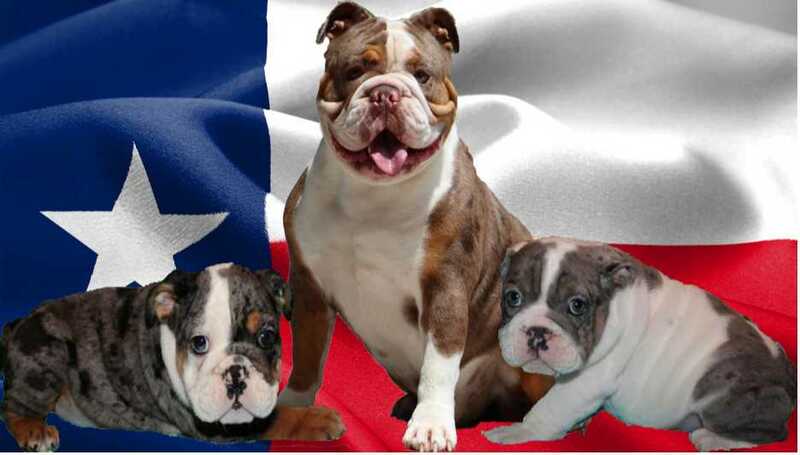 Carla and Beautiful Bulldogs of Texas gave me the love of my life! I love my husband and three girls, but there is no greater love than having a dog, not any dog, an English bulldog! I fell in love with the bread while in high school watching a dog food commercial on TV. It’s true! I had been up and down the road in which Carla and the bulldogs live several times. I went to the website, which is quite helpful, and saw my future life. Carla was very helpful in answering my questions through email and later text messages. We asked to come out and see the puppies and she was right on it and very accommodating. When arriving at Beautiful Bulldogs of Texas, I knew this was the place; clean, kept up and you could feel the love that Carla has for all of her animals. That is a MUST! Carla showed me my future Ride or Die. I cannot even image my life without this beautiful animal, ‘my child’. Fiona was nine days old when we met and I was there every weekend until the day she came home. The transition was seamless and perfect. I now have the princess I have always wanted. I could not imagine not having her in my life. Coming home to this beautiful baby daily takes all my worries away. I do not know how she does it, but she does. I truly become another person when we are together. I have had several dogs over the years, but NOTHING, has compared to Fiona. Beautiful Bulldogs of Texas will change your life. "We were first time puppy owners when we got Sandy. She was- and continues to be- a guardian angel for us.We were in almost daily contact with Carla when we first took Sandy home, and she was always, always there for us-answering questions, providing thoughtful advice, and encouraging us in our new pursuit! We consider Carla as a part of our family now, and we are so thankful to know her!"